This bracelet is approximately 9 inches long. 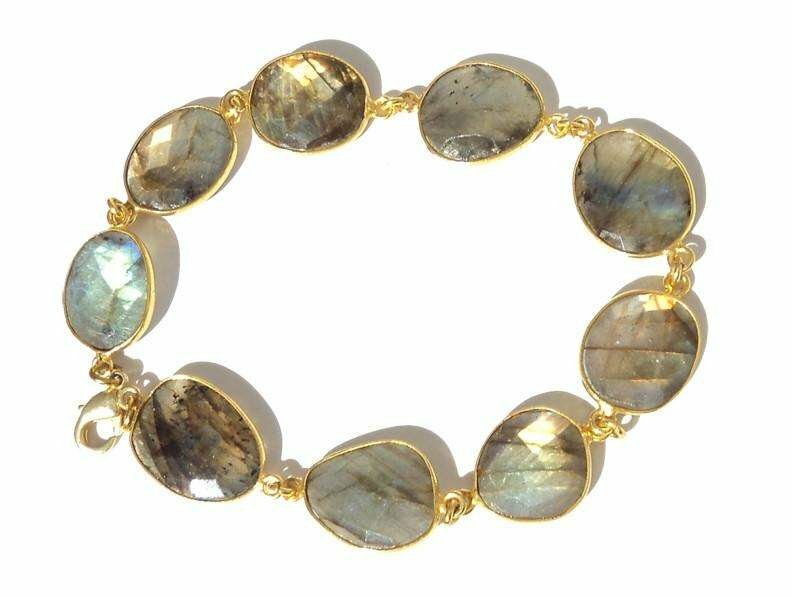 9 genuine labradorite gemstones each measuring between 18mm x 14mm. Lobster Clasp. Gold Plated Brass. Comes in a beautiful gift box.